He is a regular contributor to the BBC and NPR and he is the author of eight books including the bestselling The Psychopath Test, So You’ve Been Publicly Shamed, and the Amazon Kindle Single, The Elephant in the Room: A Journey into the Trump Campaign and the Alt Right. Jon’s original screenplays include the critically acclaimed Netflix Original Okja, which he co-wrote with Bong-Joon Ho, and Frank which he co-wrote with Peter Straughan. In July 2017, Jon released an Audible Original audio series called The Butterfly Effect, which went straight to number one on the US audio charts and has remained there ever since. 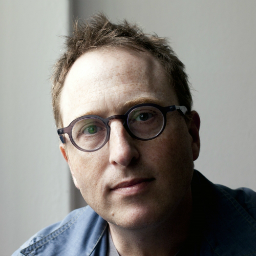 Fascinated by madness, strange behavior and the human mind, Jon Ronson has spent his life exploring mysterious events and meeting extraordinary people. In The Psychopath Test, which The San Francisco Chronicle called “...no ordinary piece of investigative journalism,” he explores the concept of psychopathy and how we define sanity, insanity and eccentricity in our society and in ourselves. The book was adapted into a story for NPR's This American Life and is one of the show's most downloaded episodes of all time.